‘How people react to The Iron Lady depends on their attitude to her. 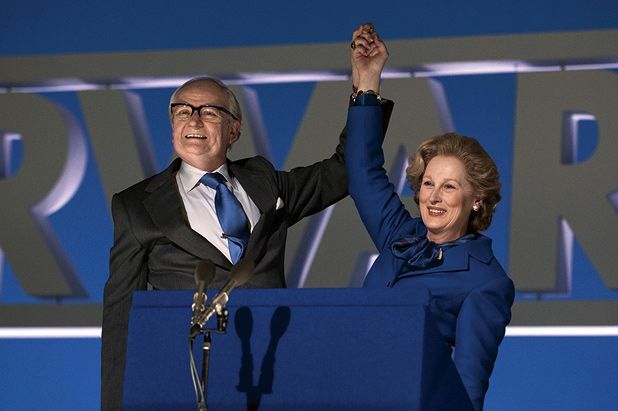 This is a brave stab at a contemporary life, and even with its flaws it does Margaret Thatcher a certain grudging justice. Awards should be coming Streep’s way; yet her brilliance rather overshadows the film itself’. Lloyd's biopic features a brilliantly convincing lead performance from Streep, assisted by terrific work from the make-up and prosthetics departments, and makes some interesting observations about old age and the cost of power, but offers no significant insights on the lady of the title.